While we have different favorites when it comes to spaces at home, I am sure that many of you would say that it is the bedroom. With this, it is only natural to exert effort and spend time in decorating it, making it a space that is as relaxing as possible. 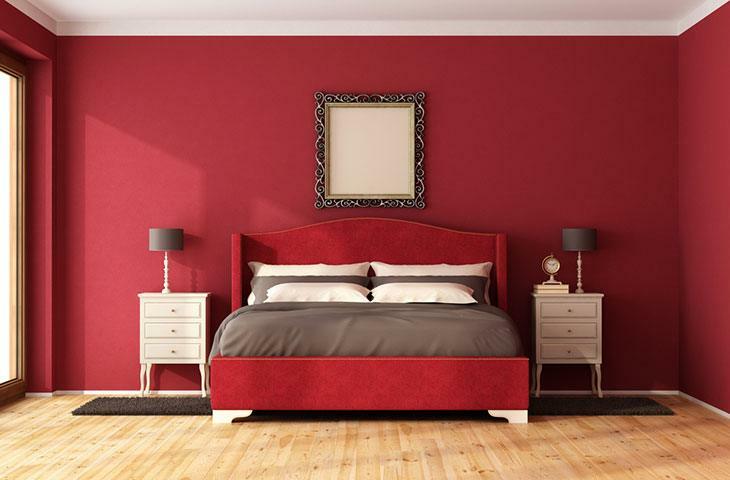 There is perhaps no color that is as popular when it comes to the base of most bedrooms. Some of you might think that it lacks life. With the white bedroom ideas that we will mention below, on the other hand, we are sure that you will be able to add life to your private space. At home, a fireplace is often located in the living room or in the receiving area where family and guests often gather together. It is seldom that it is placed in the bedroom. If the space in the bedroom is large enough and if you live in a place where it is often cold, the addition of a fireplace is one of the great ways to complement white color. It will be a good idea to add architectural details that will stand out when the backdrop is white. A period fireplace is perhaps one of the best ideas. 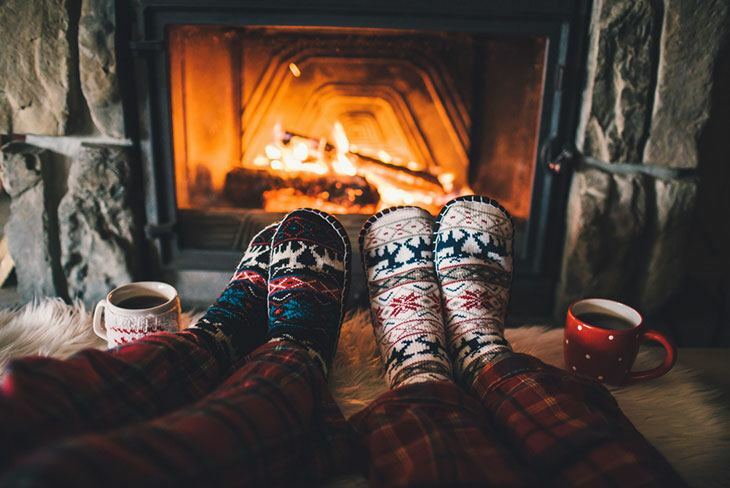 Make sure to use a fireplace with wooden sides or at least, a dark color. 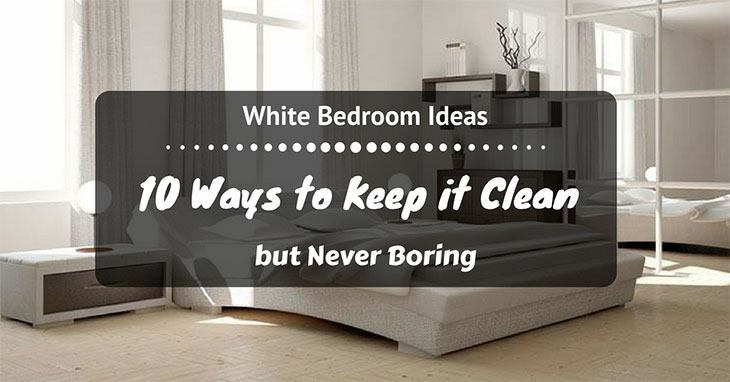 More often than not, people opt for a white bedroom because they want to achieve a minimalist look. This is a common choice for people who have simple and straightforward personality. While you can keep everything white and toned down, choose at least one portion that will stand out. For instance, if you have white walls and bed, it will be good to have a wooden floor with a dark color. Meanwhile, you can also consider having white beddings and curtains while for keeping other parts of the bedroom white. The bed can be the center of attention in an all-white bedroom. Instead of a traditional bed, you can use one that comes with four posters. It will be good if the posters are made from dark wood, making it create the perfect contrast. Alternatively, the four-poster bed can also have drapes or curtains in white. This will allow you to achieve a more elegant look and come up with a bedroom that is fit for royalty. Many of you would agree with me when I say that a plain white bedroom will be boring. To make it more beautiful, you can consider adding accent pieces in the bedroom. Choose those with a dark colors, such as black or brown. One of the best to have is an accent chair or an ottoman. You can also add a full-body mirror with a black frame. Hanging lights with a dark color will also be a good idea. If you want something more functional, you can add a wooden table. Are you a painter? Do you have a penchant for the art? 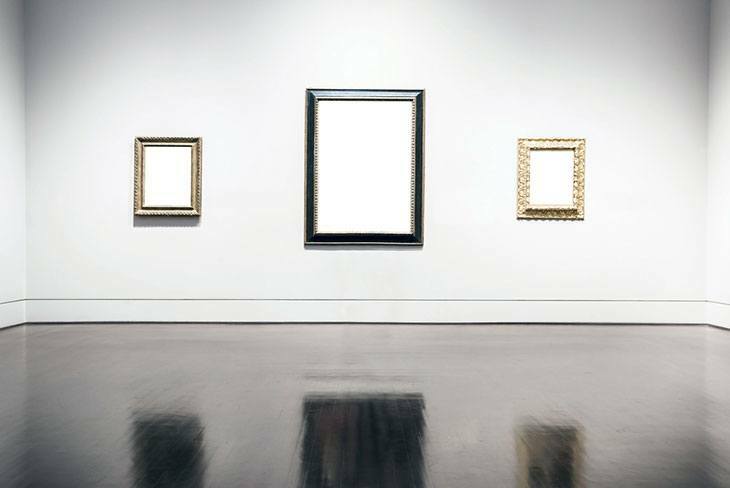 Are you an art collector? Or perhaps, have you received a nice painting from your family or friend? You can add it in your bedroom and it also makes an excellent accent for a white wall. You can hang a painting almost anywhere, but one of the most common is to have it placed in the head part of the bed, making it a great substitute for headboards. Choose paintings with dark color palate so that they will stand out when placed on a white wall. 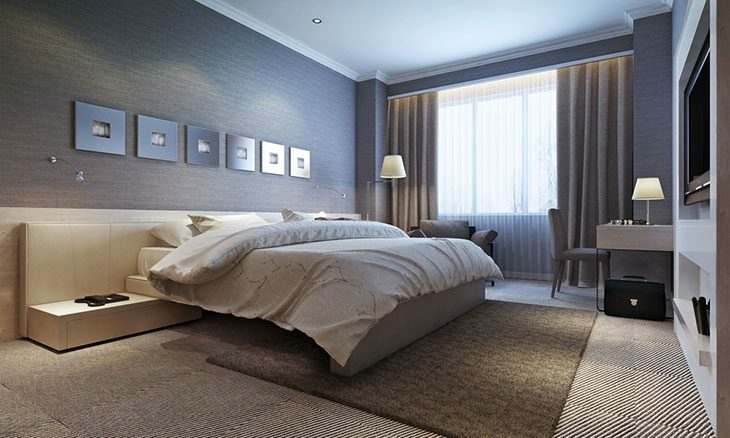 For most of the decorating ideas that we have mentioned above, we are talking about bedrooms with white wall. If you want something that is more unique, you can consider having white bed, linens, curtains, and furniture. For contrast, you use patterned wallpapers, such as stripes. Choose whatever color is preferred. You can also pick other patterns based on what you want. This will add a more playful character in the bedroom while keeping up with the white theme. When decorating a white bedroom, a lot of people are focused on using black, brown, and gray as the perfect complementary colors, especially for linens and bedroom décor. To make it look livelier and add a hint of playfulness, you can consider adding bright colors. Patterned bedding with yellow and blue color, for instance, will instantly make the bedroom bright and warm. You can also add indoor flowers with bright colors to create the perfect contrast against a white backdrop. For the ladies out there who plan to have a white bedroom, one thing that you can do is to play with curves. From the mirror to the dresser, from the cabinet to the curtains, you can consider curved patterns as a way to make white stand out. One of the simplest things that you can do is to add bedsheets with a curvy lower end. You can also opt for curtains with ruffles. If you have stayed in a cottage before, you will know that most of them are log cabins. They use wood and usually have brown as the motif. You can also achieve a cottage-like feel in the bedroom while sticking to a white theme. For instance, you can add paneled wall treatment to make it look like a cottage. You should also pay attention to the details to achieve a complete look. For instance, you can add an espresso-stained floor or a small chandelier that will make it look rustic. For a white bedroom that is made for couples, red will make the perfect choice for color that can create the perfect contrast. It will make the bedroom look fiery and romantic, making it perfect for couples. While keeping up with an all-white wall and bed, you can use red curtains or red bedsheets. You can also use bamboo pillow cases. With the white bedroom ideas that have listed in this post, we hope that it is now easier for you to think of how you can redecorate your intimate and private space at home. With a little creativity, you can spice up the bedroom and make it a place that you always look forward to seeing. Is there any decorating idea that you would like to add? Feel free to leave a comment below.